Home Editor's Pick India-made flexible packaging machines of global standard are here! The flexible packaging industry is evolving at a brisk pace with the advent of new technology as was on display at the mega biennial Plastindia exhibition held last month in Gandhinagar. Like its earlier editions, the 10th edition was a resounding success with a large international contingent. The show attracted 1,800 exhibitors from 44 countries, and around 2.46-lakh visitors, according to the organizers. 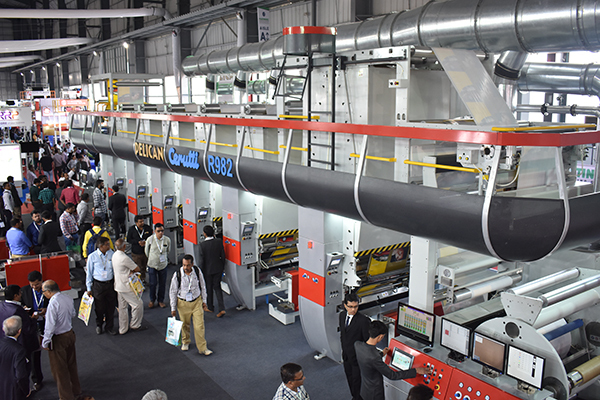 The show was on one hand a dazzling array of live demos showcasing cutting edge innovations and packaging solutions, and a launching pad for many budding as well as established flexible packaging equipment manufacturers from India on the other. And these launches were no mere launches but flawless execution of technology imported from global leaders or with the aid of experts in the related field. These new generation Indian-made machines, which come with all bells and whistles that any top-end European or Western players provide, will definitely empower the Indian converters and packaging solution providers to deliver same efficiency and productivity with new standard in cost effectiveness. At the event, Pelican introduced India-made rotogravure press under Cerutti technology, which means Pelican signed a strategic agreement with Cerutti to manufacture Cerutti’s rotogravure press in India. Under the terms of the agreement, Pelican will use Cerutti’s manufacturing technology and designs to produce rotogravure presses in India. Similarly, Uflex launched its fully automatic co-extrusion lamination machine at the Plastindia event. Uflex has roped in Uwe Fidersek, who has over 40 years of hands-on experience with one of the best extrusion lamination machine manufacturing companies of the world, to provide his expertise in manufacturing state-of-the-art extrusion lamination machines to be sold in India and world over in the times to come. 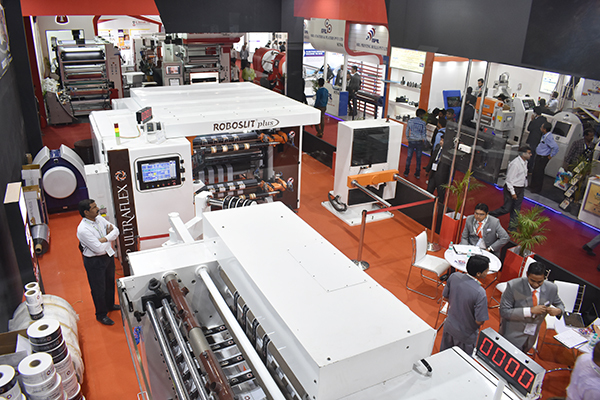 The Plastindia exhibition is a perfect example of how equipment manufacturing in the country has evolved, but still it is only a microcosm of what is happening in the flexible packaging market, as there are many other high-voltage events happening across the country. Cosmo Films, for example, plans to start a new PET line in Aurangabad in Maharashtra next year. According to Pankaj Poddar of Cosmo Films, the expansion plan for next two years is in the Rs 325–375 crore range. Then there is Constantia Flexibles investing a double-digit million euro amount to expand the production capacity at its Indian subsidiary Parikh Packaging in Ahmedabad. Roorkee-based Osho Flexibles has installed Manugraph’s first CI flexo press – CyberFlex 1708-850 recently. Here again, Manugraph has entered into a strategic alliance with Italy-based CI flexo press manufacturer Carraro to commence the manufacturing of high-end CI flexo presses in India at Manugraph’s Kolhapur facility. The flexible packaging industry has also been witnessing new players entering the market. One such entrant is Noida-based Naph Graphics. Naph is leveraging its more than two decades of engineering, manufacturing and after-sales expertise to crack the market. The flexible packaging industry has also been witnessing new players entering the market. One such entrant is Noida-based Naph Graphics. Although the company diversified to the field of manufacturing slitter-rewinders not long ago, yet it has carved a niche in the market in a remarkably short span of time. Naph is leveraging its more than two decades of engineering, manufacturing and after-sales expertise to crack the market. Flexible packaging features heavily in the March-April 2018 edition of The Packman. I hope you will enjoy reading our Plastindia reviews along with other interesting stories in the issue.